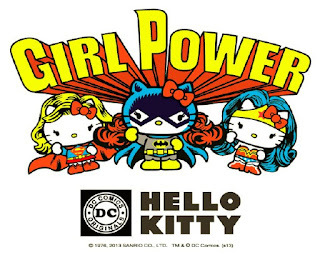 Entertainment, and Sanrio, creator of the global icon Hello Kitty, announced today they will be partnering to license a new brand collaboration that will feature Hello Kitty dressed up as her favorite DC Comics Super Heroes, including Wonder Woman, Superman and Batman. 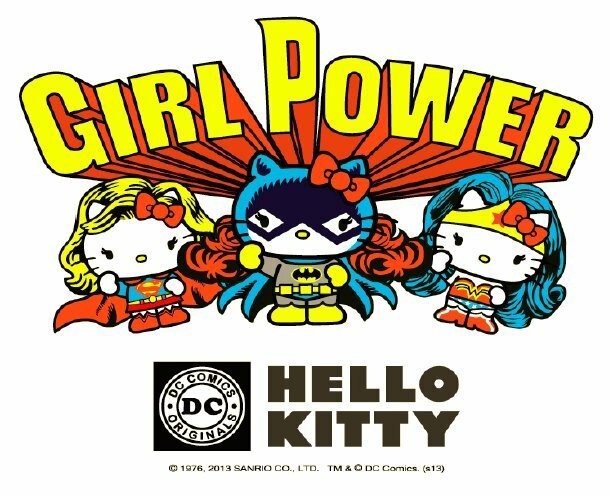 “Hello Kitty is an inspired choice for a momentous co-branding that will expand the reach and appeal of both DC Comics Super Heroes and Sanrio properties,” said Brad Globe, president, Warner Bros.
accessories and footwear, stationery, publishing, personal care, promotional products and food products from a variety of top-tier licensing partners. licensing and retail merchandising organizations in the world. magazines each year, DC Entertainment is the largest English-language publisher of comics in the world. launched We Can Be Heroes—a giving campaign featuring the iconic Justice League super heroes—to raise awareness and funds to fight the hunger crisis in the Horn of Africa.